Thank you to all of our ASB 2019 Sponsors and Exhibitors. Please take time to visit them in the Exhibit Hall, and let them know that you appreciate their involvement in ASB. ASB and BBB abstract submission is now closed. ASB 2019 Program is now available. Sign in with your email address and a self-defined password to save and access your favorites from any device. Mobile apps are coming soon! ​See the full program now. Download a PDF version of the program, and print your own. ASB 2019 Mobile App is now available. You can download android (through google play) or iOS (through the app store) versions of the app. NOTE: You must be logged into the app (username and password same as for the online program) to view room assignments for talks and meetings. This document gives you a schedule on which to plan your trip. Note that it includes the times and locations of ticketed events, symposia, and poster and talk sessions, but it does not include the times of individual presentations (that will come with the program). ​Here is what to expect for the annual meeting. See last year's program for additional insight into the annual meeting. Use the program app or download a PDF copy. ​RENEW OR JOIN ASB NOW - Current ASB membership is required to receive member discounts at registration (a savings of $65 for professionals and $50 for students. Registration rates are listed below. ​EARLY REGISTRATION - Early registration ends 20 March 2019. After this date, rates will increase by $50 to $65, depending on registration package. Registration rates do not include costs of additional ticketed events (e.g., Thursday Night Social, Friday Night Awards Banquet, etc.). CANCELLATION - Prior to 20 March 2019, you may cancel your registration via the registration website for full refund minus a $65 processing fee. No refunds are allowed after the 20 March deadline due to contractual obligations with our venue and vendors. ASB and BBB abstract submissions are now closed. See details below regarding preparation of talks and posters. Posters should fit within a 46" (Width) x 44" (Height) space. Boards and thumbtacks will be provided to display your poster. There will be two posters to a board, so please do not exceed the maximum size as it will overlap neighboring posters. Posters will be displayed for one day, but presenters will stand by their poster during an hour-long poster session. Odd-numbered posters will present in the morning and even-numbered posters will present in the afternoon on either Thursday or Friday. Oral presentations should be 12 minutes long with ~3 minutes left for questions. Please leave time to switch to the next presenter within the 15 minutes; there is no space between talks. Please prepare a PowerPoint talk that is compatible with Windows 8 and Microsoft Office 2013 on a PC and bring a backup PDF. The computers in the rooms will not have audio and will not be connected to the internet. Make plans to install your presentation on the desktop of your room’s computer in the morning of your talk; there will not be time immediately before your talk. You can upload your talk directly to the computer in the room via a USB drive. Make sure to give your file a unique identifier (e.g. LastName_ASB2019) to avoid losing it among the many entitled, “ASB 2019 talk” and the like. Switching computers is prohibited as this causes unnecessary delays and computer malfunctions. NEW for 2019! LIGHTNING TALKS - A new, less formal format to share ideas and hypotheses, discuss novel experimental approaches, or present truly preliminary results. No more than 5, heart-pounding minutes and 3 slides to leave your mark, engage, and connect with others. Only a title and a brief abstract to explain your idea is required at time of submission. Limited slots are available, so act fast. Slots will be filled on a first come basis, and others will be added to a waiting list. This session will take place in the Exhibit Hall, in a new "theater" space. If you need more information or have questions, please contact organizer Ricky Fiorillo (rfiorill@ggc.edu). 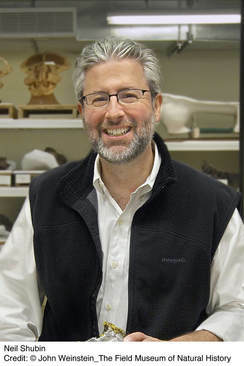 Neil Shubin is the author of two popular science books, The Universe Within (2013) and the best-selling YOUR INNER FISH (2008), which was chosen by the National Academy of Sciences as the best book of the year in 2009. Trained at Columbia, Harvard, and the University of California at Berkeley, Shubin is the Robert Bensley Distinguished Service Professor and Associate Dean of Biological Sciences at the University of Chicago. In 2011 he was elected to the National Academy of Sciences. Robert H. Martin, founder and owner of Martin Microscope Company from 1946 until his death in 2006, was an avid supporter of ASB and of the sciences in general. He supported ASB for decades as a Patron member and sponsor of the ASB Student Research Award, and, with his passing, his family established what has become the Robert H. Martin Plenary Address fund to help cover the costs of bringing in highly qualified speakers for the ASB annual meeting. GROUP CONTRACTED RATE IS SOLD OUT. THERE ARE STILL ROOMS AT BEST AVAILABLE RATE AT HEADQUARTER HOTEL OR VISIT YOUR FAVORITE TRAVEL SITE FOR OTHER OPTIONS. Planning ahead for your trip to ASB 2019? ​Put these dates on your calendar now! ​We are excited to announce two sponsored symposia for ASB 2019! These symposia are open to all meeting registrants to attend, but speakers are by invitation only. ​We will also have two workshops that provide more focused exploration of a topic. These workshops are open to all meeting registrants to attend. Seating may be limited and will be first come, first served. We have two exciting field trips this year! Be sure to register for field trips when you register for the conference. Wolf River Canoe Tour - Sponsored by the University of Tennessee at Martin, Department of Biological Sciences and the Reelfoot Lake Environmental Field Station. Old Growth Forest and Spring Flora in Overton Park - Sponsored by the Southern Appalachian Botanical Society. ASB 2019 T-shirt design contest - We have a winner! You can pre-order your ASB 2019 shirt through early registration. We will no longer accept online pre-orders after 20 March. During the conference, we will have limited quantities available on-site at the ASB Booth in the Exhibit Hall. Congratulations to Liam Lorenz of Georgia Gwinnett College for presenting the winning shirt design this year! ASB 2019 registration rates are the same as last year! Registration launched with online abstract submission on 6 December 2018. Note that early registration ends on Wednesday, 20 March 2019. After the end of early registration, higher rates will apply. Why should your company or university exhibit with ASB in Memphis? 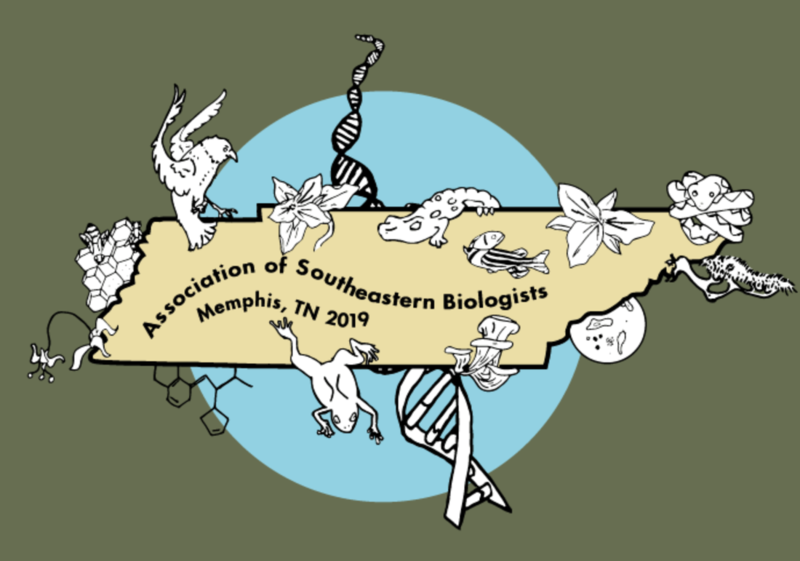 This three-day event brings together approximately 800 biologists from across the southeastern United States. The meeting features a distinguished plenary speaker, special symposia, oral and poster presentations, workshops, networking and social events, and more. 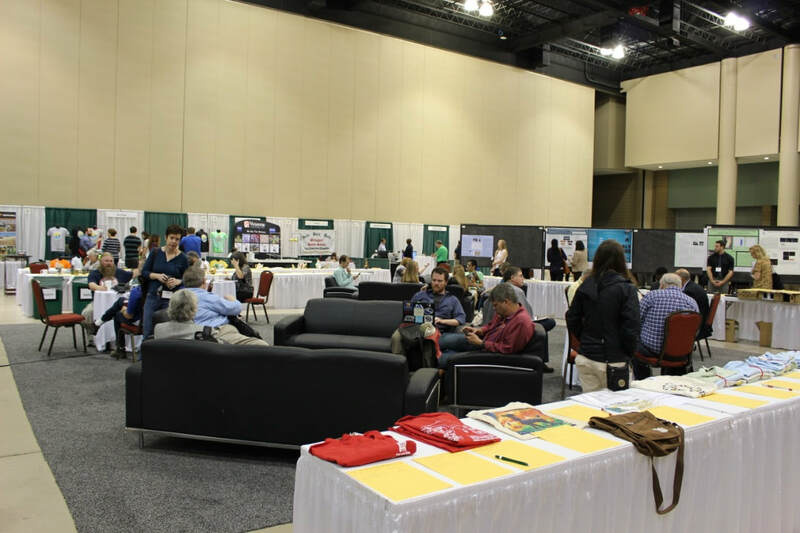 The Annual Meeting provides you with the exclusive opportunity to network with this large and important audience of faculty, students, researchers, conservation workers, military and government personnel, and business professionals with a common interest in biological issues. Interests are diverse, but range from genetics and molecular biology, to physiology and population biology, to community and ecosystem ecology.